Barista Ready is an initiative created by Lecio Resmini from Background Coffee Roasters. Our goal is to create and stimulate new coffee professionals throughout a barista position. There are several opportunities in the coffee industry beyond barista, our mission is to show all of it to our students. There are three available workshop by Barista ready | Background Coffee are geared toward providing effective and well-informed training, from basic methods and concepts to advanced latte art techniques and notions and even principles of coffee roasting. 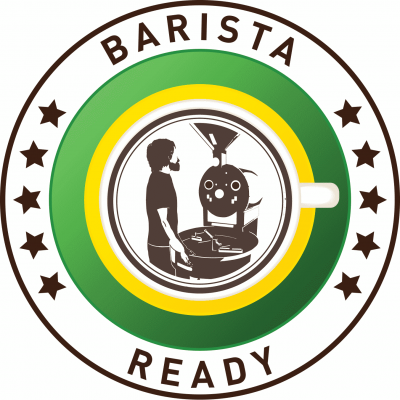 Barista Ready is a business from Background Coffee Group. At Background Coffee, we not only take pride in roasting excellent coffee, but we also want to educate others about the trade and craft of making great tasting coffee as well. Each workshop is an incredibly rewarding experience and is an essential step in learning and executing amazing coffee techniques to help coffee shop owners and aspiring baristas to excel in the coffee industry.